Pastor Timothy D. Hayes, Sr.
Pastor Timothy D. Hayes, Sr., is a native of Memphis Tennessee, he is the Senior Pastor MT Zion Missionary Baptist Church located in the Stanton, Tennessee. A visionary and shepherd; Pastor Hayes encourages the hopeless with messages that are inspirational, timely and relevant. He is an anointed preacher and teacher; he draws on his own failures and shortcomings to deliver God’s Word. Pastor Hayes embraces women in the Ministry and through venues such as; marriage seminars, conferences, and revivals which have help to increase his knowledge in Christian Education. He is committed to winning souls for Christ through teaching the gospel truth; so marriages are restored, families are healed, and other generation begins to rise up! 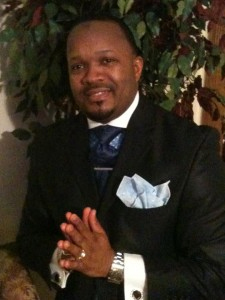 Pastor Hayes is a graduate of Carver High School in Memphis, Tennessee. He has attended Alabama State and Shelby State, and is currently pursuing a degree from Victory University with a focus in Counseling. Pastor Hayes has been preaching the word of God since 2007, and now a servant at MT Zion Missionary Baptist Church since November 2014. We humbly give thanks to our heavenly Father for our Spiritual Leader. His wife, First Lady Kim and children; Timothy Jr., Minister Kameron, and Madison.